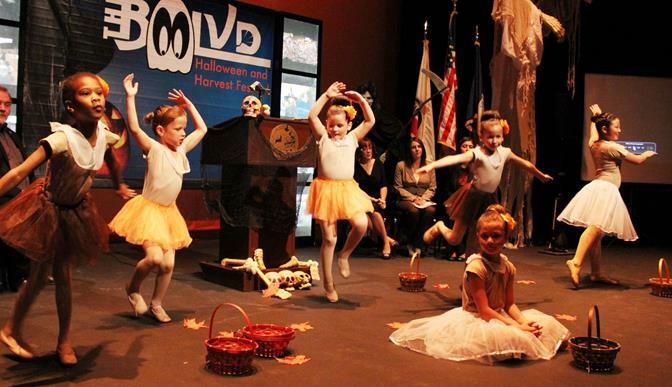 The YMCA ballet will perform on the Fig Avenue Stage at 5:30 p.m., Saturday, Oct. 26 during the BooLVD Halloween and Harvest Festival. LANCASTER – Organizers are gearing up for the fourth annual BooLVD Halloween and Harvest Festival. This event will be held from 5 to 9 p.m., Saturday, October 26 on The BLVD in downtown Lancaster, between Beech and Gadsden Avenues. All are invited to come out and enjoy family-friendly attractions and great live entertainment. Back by popular demand this year is a tribute to Michael Jackson’s Thriller. The Thriller performances will take place at 6, 7 and 8 p.m. on the Main Stage in front of BeX. The Fright Night Singers will open each show, followed immediately by the Thriller dance troupe. In addition, the Fig Avenue Stage will feature the Halloween Hip Hop Crew at 5, 6 and 8 p.m., the YMCA ballet at 5:30 p.m., Godfrey the Magician at 6:30, 7:30 and 8:30 p.m., and the Costume Contest winners at 7 p.m.
Once again, traditional trick-or-treating with The BLVD merchants will be offered from 5 p.m. while supplies last. Children ages infant to 12-years-old can also participate in the BooLVD Costume Contest, which will award winners in the “cutest,” “scariest” and “most creative” categories. Sign-ups for young contestants will be accepted from 5 to 5:45 p.m. 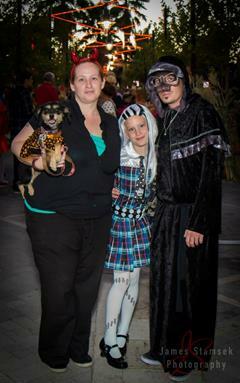 However, everyone is encouraged to make the most of the event by dressing in fun, creative costumes. In addition to entertainment, there will be harvest-style attractions to include a giant pumpkin-carving activity at the BeX stage, carnival games, a mini farmers’ market, cookie decorating offered by Maribel’s Bakery, pumpkin decorating and ghostly train rides. The Lancaster Performing Arts Center will be offering Haunted Tours of the theater throughout the evening. AV Dance Studio 81 will offer their kid-friendly haunted house, and there will be bounce houses, jumpers, a rock-climbing wall and numerous games and crafts. For more information, visit www.cityoflancasterca.org/BooLVD.